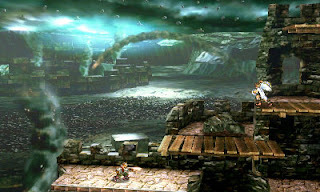 FightVG: Quick Pic: Kid Icarus Uprising stage coming to 3DS version of Super Smash Bros.
Quick Pic: Kid Icarus Uprising stage coming to 3DS version of Super Smash Bros.
Masahiro Sakurai has provided an image of the Kid Icarus Uprising stage for the 3DS version of Super Smash Bros. It's okay to shed a tear or two. A picture on Miiverse has revealed a Kid Icarus Uprising stage for the 3DS version of Super Smash Bros. The image was posted by the series' creator Masahiro Sakurai.